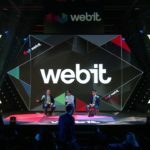 Hsuan Lee, the VP of Engineering of COBINHOOD, the first zero trading fee exchange in the world, and as of January this year – came to Webit.Festival 2018 in Sofia and discussed the topic of blockchain implementation and future. Back in 1991, many of you remember when the websites obsession was huge – the largest companies began with it. The transition towards search engines like Google and Yahoo was more or less smooth until they became viral. The appearance of sharing platforms appeared naturally – youtube, myspace, blogspots, etc. 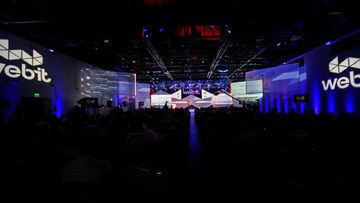 Some of the platforms disrupted and stayed, others disappeared and many, many more appeared. A couple of years ago Messenger,whatsapp and instagram, to name a few – everybody talked about these and while they’re widely used today, the hype over them disappeared. 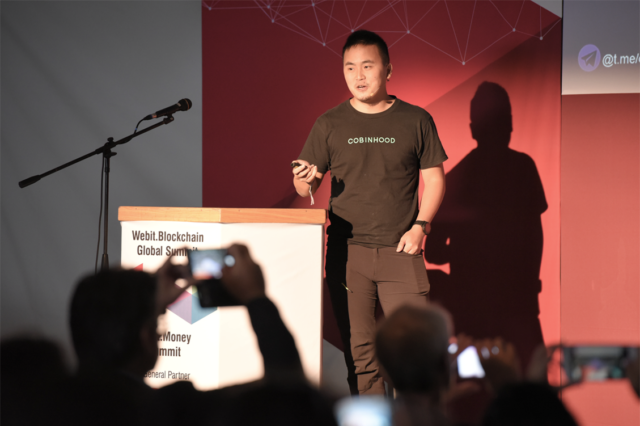 In 2017 – 2018 the most talked about technology advancements are the crypto-blockchain platforms. We are, very naturally, transitioning towards DApps era – or post apps era, role of apps is increasing and becoming more important rather than steady. 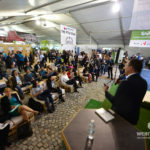 The innovators are about 2,5 % of all the population. The heart of all high tech startups is a product that spawned from a small group of passionate scientists. The early adopters take up about 13,5 %. This is the ‘chasm’ to which companies pay little attention to once a company is over hyped by the success of market entry. This is the worst place to be, characterized by low scalability, high transaction latency and high transaction fees. The early (34%) and late (34%) majority are the largest part and the most secure phases in a company’s development. There are, however, cases when the company fails – the ‘laggards’ as Hsuan calls them – are about 16% of all. Blockchain adoption by companies will be as difficult process as the transition from appearance of apps to their everyday viral usage. It will happen, however. ... a picture tells a thousand stories! 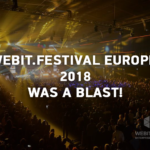 Webit.Festival Europe 2018 was a blast!